Disclosure: I was provided a gift card to Menard's to purchase the Nautica Paint and supplies. All opinions and comments are my own. I wouldn't recommend a product unless I loved it! I've you follow along with me on my blogging journey, you know I'm always switching things up around here! 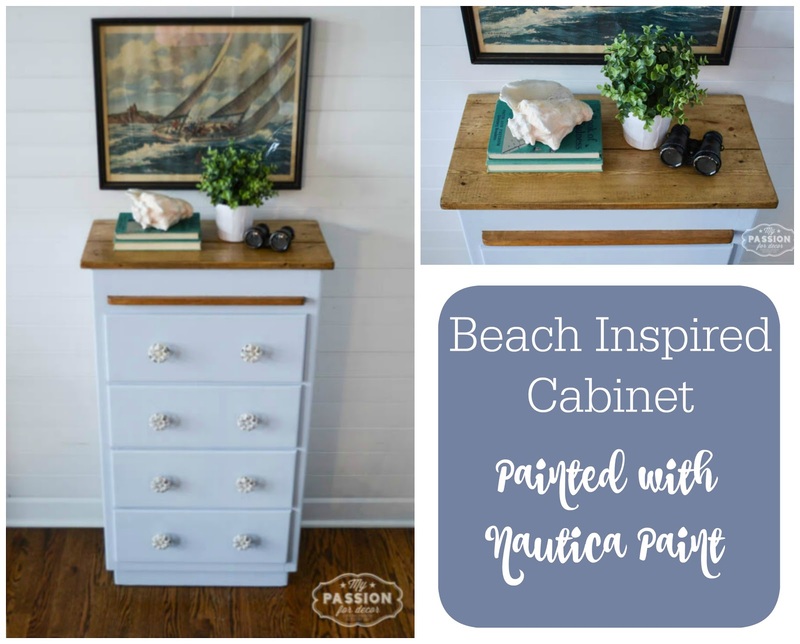 So when Nautica Paints approached me with the idea of working with them on a beach inspired room makeover I was all over that idea!! This is the first part of a three part post. This first post is about the cabinet I reworked and painted with Nautica Paint.